Growing up in Scotland is the best because the education is great and its giving me the best possible start to life i can get. In Scotland although the weather can be bad there is always something for me to do whether it be stay in or have an adventure and i wouldn’t change that . There’s great place to for a family day out too. 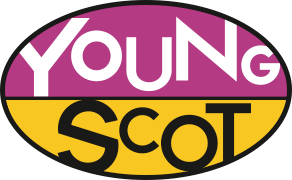 That the community around a certain young scot may look bad but they are nice people who are wanting the most out of their life and they are trying there best to do that.It’s hard now in this generation because there is some really Bad crimes and there’s no way young people can stop that. It’s not always the youth realise that. My biggest achievement is building up a reputation that show people who i am really , what i can do for myself ,who i need most in my life and how well i can do academically if i push myself to be the best. I would love to go to university to get a degree in graphic design and to pursue a job in graphic design. I would also love to be a mum so i have the chance to have responsibility to care and to be proud of my child and with a job like graphic design i could also provide for my family. I would say don’t let people stop you from being you because at the end of the day you can’t be anyone else because you were made to be you and to be true. This is important to me because school can be hard but i stopped myself from thinking what other people thought of me and took in what i thought of myself. If Isla’s story has inspired you, why not share it on social media using the hashtag #MyStory365 or visit the ‘Get Involved’ section to share your own story!